100 Favorite Patriotic Songs Four-disc set includes America The Beautiful, Stars And Stripes Forever, Amazing Grace, Star Spangled Banner. American Flag Drumsticks Machined from select hickory using state-of-the-art equipment. An exclusive 11-step finishing process with a clear overcoat is used which minimizes marking. They’re designed to optimize balance, response, and durability. Hal Leonard God Bless America-Patriotic and Inspirational Songs for School and Community Book/CD Put together your own custom program with this wonderful collection of patriotic and inspirational music for younger singers in elementary schools, churches and community settings. The Teacher’s Book/CD includes Unison/2-Part piano/vocal/guitar arrangements and an enclosed Preview CD featuring children’s voices. John Williams/Boston Pops Salute to America Songs include Battle Hymn of the Republic, American Salute, America the Beautiful. Karaoke: American Patriotic Songs Pioneer Entertainment presents these patriotic songs on Karaoke DVD in hopes that they will comfort those affected by the tragic events suffered on September 11, 2001, lift the spirits of Americans everywhere, and instill a sense of pride in our great lands. The proceeds of this release will be donated to the American Red Cross in efforts to heal the country. Music Minus One Anthems For Heros Note-perfect instrumental backing tracks to 18 classic patriotic hits! Includes songs from Irving Berlin to Toby Keith! Includes a full lyric book. Patriotic Music of America Patriotic songs performed by the American Military Band. Patriotic Pride Start your free trial. Get 1 MP3 or the whole album of marching songs. Patriotic Songs Volume 1 Kevin Gaffney - Trumpet. Download 1 song or all 14. Patriotic Super Hits / American Made Patriotic songs sung by country artists. Patriotic Super Hits: American Made Start Free Trial Today! Download 1 song or all 6. 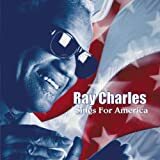 Ray Charles Sings for America Gathering 20 soulful recordings from albums and singles released between 1960-1997. Featuring a brand new (2002) track ’God Bless America Again’ featuring an all-star cast of supporting musicians including Billy Preston and Slash. Reader's Digest Faith Series - Patriotic Patriotic songs performed by Lee Greenwood, Sandi Patty, Geron Davis, Morton Gould, Randy Rothwell, Linda McCrary and more. Shawnee Press Proud To Be An American A collection of seven Patriotic songs for early grades which may be sung separately or combined into a revue using narration and staging provided in the Teacher’s Book. 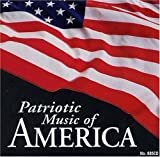 Tubular Patriotic Songs Book/CD Selections include: America, Battle Hymn of the Republic, You’re A Grand Old Flag, 1812 Overture and many more. Includes full Boomwhackers Musical Tube arrangements with melody and ’EZ" chordal sheets to be played with the accompanying instrumental CD.